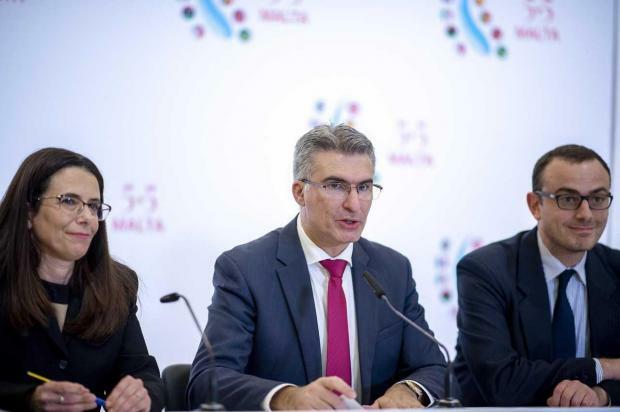 The upcoming 5+5 meeting was an opportunity for a frank discussion on pressing matters in the Mediterranean region, Foreign Affairs Minister Carmelo Abela said on Friday. Malta will be hosting the 15th Meeting of the Ministers of Foreign Affairs of the 5+5 Western Mediterranean Dialogue on Thursday and Friday. The 5+5 dialogue sees five European-Mediterranean countries; Malta, Italy, France, Spain and Portugal and the North African countries of Libya, Tunisia, Algeria, Morocco, and Mauritania, hold high-level talks. “Mediterranean remains at the essence of our external relations dossier, with the overall objective of bringing peace, stability, and sustainable growth in the region,” Mr Abela said. “The meeting will provide an opportunity for a frank exchange of views on important regional matters that are of mutual and common interest such as the situation in Libya, the Middle East Peace Process, and the Sahel, as well as issues such as migration and climate change,” a government statement read. Delegates will be joined by the High Representative of the Union for Foreign Affairs and Security Policy/Vice-President of the Commission, the Secretary General of the Arab Maghreb Union, the President of the Anna Lindh Foundation, the Secretary-General of the Union for the Mediterranean, and the President of the Parliamentary Assembly for the Mediterranean as observers.